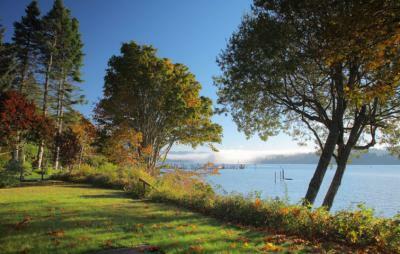 An exciting opportunity to own a rare and stunning piece of West Coast shoreline. Only footsteps from the beach, this remarkable property offers 0.66 superb acres of south facing low-bank waterfront with spectacular views of Whiffin Spit and Sooke Harbour. Includes a charming 1,255 sq.ft. three bedroom rancher featuring an open floor plan, stone fireplace, mahogany doors, teak cabinetry, cedar ceilings and large view windows. Perfect as a weekend getaway, this home is also large enough to be a great full time residence. The 115 ft. of sunny ocean frontage affords endless aquatic enjoyment. Foreshore rights are available should you wish to build a dock. Conveniently located on a peaceful no-thru street within walking distance to town, a long driveway and fruit trees completes this desirable package. For those who value the unique and appreciate tranquility, this special retreat awaits your vision.